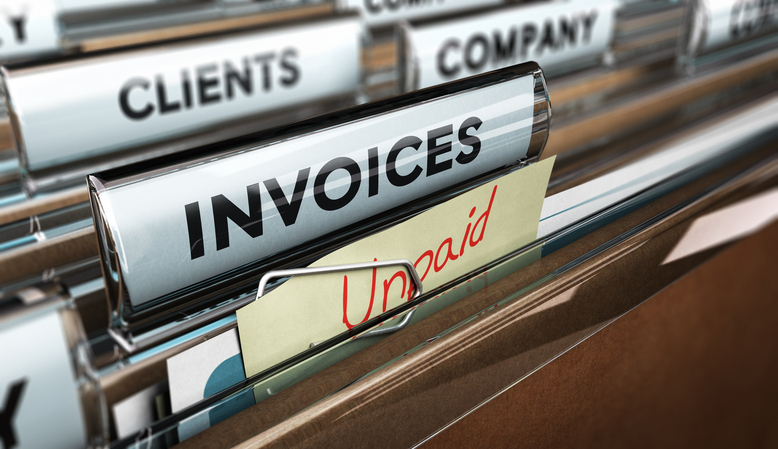 Late payment of invoices is a problem for any business. It creates cash flow problems, makes planning impossible and wastes valuable time and resources. At Coface we help thousands of companies throughout the world to avoid late payment and bad debts – so here’s our quick eight-point guide to giving yourself the best chance of having invoices paid on time. With up-to-date financial health checks available on any UK or global company, there’s no need to ever offer credit terms to a company without knowing its current creditworthiness. Always ‘Coface it first’. Your payment terms need to be enshrined in a contract, as does your continuing ownership of the goods until payment has been received – lessening the temptation to delay payment. If you have indisputable proof that goods were received and found acceptable, there are no grounds for late or non-payment. Don’t be swayed by a few on-time payments. You made an informed decision when setting the credit limit, so stick to it until you have new information. Chasing payment can be time-consuming and a frustrating distraction from other important tasks. But our advice is “don’t get mad, get paid”. Being angry or aggressive can cause resentment and risks putting you in the wrong. Outsourcing is one solution. As a Coface credit insurance customer, you have access to our highly professional debt collection service. Plus resources such as credit checks to help you reduce the risk of bad debt. If anything changes or strikes you and your team as unusual, there may be a problem you need to investigate. No-one could be more expert than Coface. We’re a world leader in credit insurance, active in 200 countries and with deep knowledge of every industry. We can also offer invaluable advice if you are considering changing a customer’s credit limit, or if you believe there may be an enhanced risk of non-payment. With a tailored Coface credit insurance policy in place, your cash flow is as secure as it can be, and you have the peace of mind of knowing that if a customer does delay or default, you can claim back the cash. The top questions a business owner asks when looking to protect themselves from bad debt. Bad debt is as an unavoidable risk and there is a way to seize the initiative. Coface strongly recommends building a Retention of Title clause in your sales contracts which gives you rights if a customer fails. Here’s why every company needs to make this a priority. The high number of signals of risk in Q2 2018 is reminiscent of the situation in the years 2012-2013: rise of sovereign spreads in the Eurozone, increased protectionism, higher oil prices.